Faculty of Engineering – Pharos University in Alexandria is looking forward to enriching scientific research and encouraging researchers to share their innovative and creative contributions. To achieve its mission and pioneering role in the development of engineering sector, the faculty will organize its second international conference entitled “New Trends for Sustainable Energy”. A vision for Sustainable Development in Energy Systems based on Egypt sustainable development strategy 2030. The conference is a top-level gathering of distinguished, research centers, ministries, organizations, authorities, concerned associations of chambers and industry representatives. As well as, the conference is a multidisciplinary platform for academics, researchers, experts, leadership entrepreneurs, investors, developers and community members of energy systems to discuss and share their experiences, trends as well as practical challenges. In this context, the conference will provide an ideal atmosphere to stimulate new ideas, initiate intense discussions about theories and applications and establish communications by a series of interactive sessions, workshops, interactive panels and keynote addresses to promote innovation and entrepreneurship in the fields of renewable energy systems. Therefore, the conference adopts the country’s national approach in encouraging creative and innovative youth’s ideas and the small and medium-sized enterprises in the fields of renewable energy resources and systems. The conference will discuss the obstacles facing them. It will also offer effective opportunities for both decision makers and Entrepreneurs to get connected. 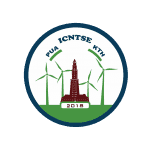 We are looking forward to seeing you from 5-7 November 2018 at the 2ndInternational Conference (ICNTSE) 2018 in Alexandria – Egypt. Energy and Environment Building Efficiency Technology. Carbon Footprint and Life Cycle Assessment. Mechanical Energy Harvesting and Tribo-Electric Nano Generators.